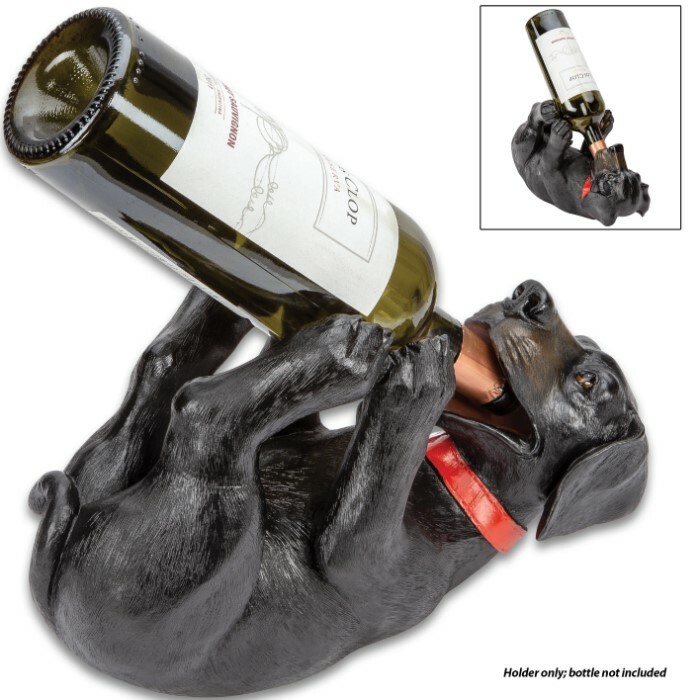 Black Lab Wine Bottle Holder - Hand Painted Polyresin, Intricate Details, Holds Standard 750ML Bottle - Dimensions 9 1/2”x 6 3/4” | BUDK.com - Knives & Swords At The Lowest Prices! Look who’s gotten into the wine! This little guy is useful and amusing. The Black Labrador wine holder and display is highly-detailed, hand-painted polyresin, offering a realism that is unmatched in beauty. It holds a standard 750 ml wine bottle at just the perfect angle to store and preserve your wine and it has felt pads on the bottom to protect your delicate surfaces. 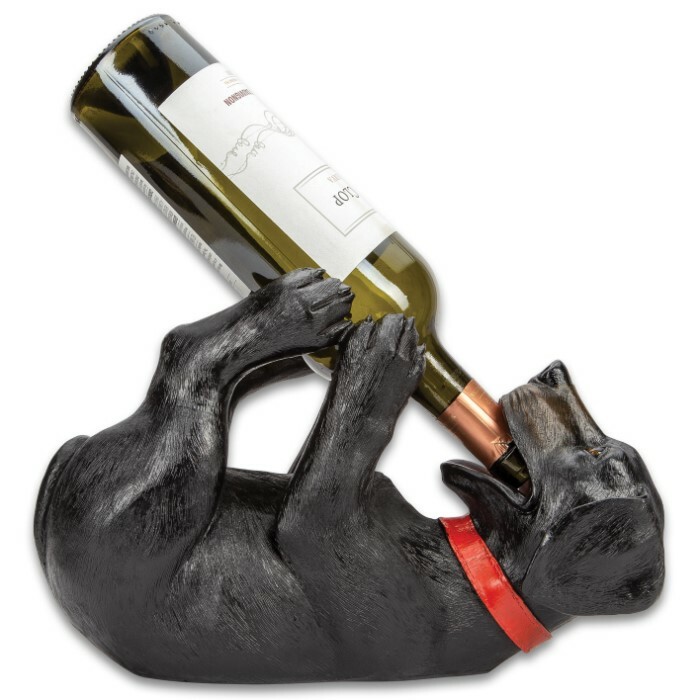 The whimsical 9 1/2”x 6 3/4” wine holder is also great for displaying whiskey that’s contained in a 750 ml sized bottle. A great conversation piece, that looks great with any decor, it’s just right for your cabin or lodge.